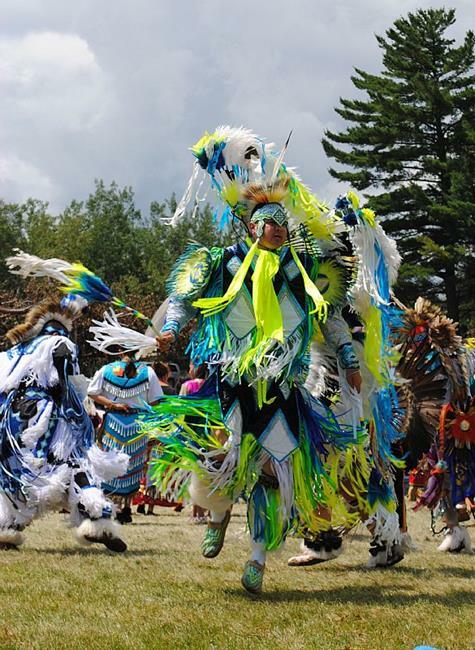 This Fancy Dancer was putting on quite the show at the Fon du Lac Veterans Pow Wow last summer. He is Regalia includes what they call a "double bustle". In other words, it moves twice as much! He was also very tall, towering over many of the others in the circle, which further showcased his Fancy Dancing. If you have never been to a Pow Wow, I highly recommend taking one in. The season is just now starting up here in the far north and dancers are feverishly working on finishing their Regalia as I write this. Image shot with a Nikon D3000 dslr.